Potentially hazardous products such as chemicals or weapons. Note: Methow County Recycles and participating jurisdictions are not responsible or liable for determination of what may constitute a hazardous substance or create a hazardous situation. Information provided through 2good2toss is supplied by the listing party. Neither Methow Recycles, nor participating jurisdictions, their contractors, nor any advisor, agent, or employee thereof is liable for any information, error or representation, nor any warranty, expressed or implied, as to the accuracy of the information regarding materials, services, products, or equipment offered through 2good2toss. 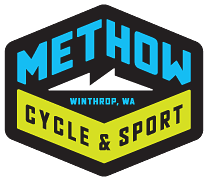 Methow Recycles and participating jurisdictions shall have no responsibility for, nor liability resulting from operation or administration of the web site, or for harm or damages caused by, or resulting from items listed on the web site.